The ICA is a non- party political, non-sectarian organisation open to women of all ages and cultures. Becoming a member of ICA is simple. Once you have discovered where your nearest guild meets, you can just go along if details of time and place are given. You can also fill in the contact form on the Contact Page and email it to us. It is also possible to go along as a visitor first before deciding to join. How much will it cost me to become a member? Membership is €50 per year. What can ICA offer me? Guilds normally meet monthly in a local hall from September to June. You will hear a range of interesting speakers, participate in a variety of demonstrations and enjoy quizzes or theatre nights - diverse range of activities organised by the guild committee. Being a member entitles you to participate in competitions at guild, federation and national level and qualifies you to avail of the member benefits listed below. As an ICA member, you not only have access to guild meetings and activities, but you also get great discounts at national businesses. Here's just a sample of the benefits you receive as a member of the ICA. The ICA works hard to ensure that these discounts are the best deal in the market. If your business would like to be considered for our member benefits scheme, please contact Central Office on 01 668 0002 or email office@ica.ie. You can download member benefit booklet. clinic, website, facebook etc, these are prices which will remain exclusive to your members. We look forward to welcoming you and your members to Newpark Dental Clinic, where we strive to make each patient feel relaxed and confident in our care. Liffey Valley, Clane, Carlow, Clonmel and Kilkenny. To welcome ICA to their restaurants Lemongrass have given each ICA member a meal voucher to the value of €25 which can be redeemed from the ICA Central office(one meal per member). Gill and Macmillan are delighted to offer ICA members a 30% discount off the RRP of our books on www.gillmacmillanbooks.ie Our books cover a wide range of Irish Interest subjects including cookery, biography, history, children's and much more. Use the code ICA 30 when paying. (Offer does not apply to education titles) This offer is available until 3st December 2013.
on DIY and Household products on presentation of an ICA membership card. Free Parking at our Portlaoise Store. Open 8.30am – 6pm, Monday – Saturday.Exclusions apply. to all ICA Members. Please visit Billy Doyle Footwear in Enniscorthy and Selskar Street in Wexford Town. For more Information Click Here. Tulia Therapies is delighted to offer ICA members 30% off all treatments including Reflexology, Facials, Holistic Massage, Natural Facelift Massage, Pregnancy Massage, Ear Candling, Pregnancy Reflexology, Pregnancy Yoga and Mum and Baby Yoga. We offer treatments in the comfort of your own home in Dublin and Wicklow, please visit www.tuliatherapies.ie for more information. So if you are in need to a little pampering please call Shelly Dhana on 085-1516598 to book an appointment. Please mention your ICA membership at the time of booking. centre of Wexford Town. With exhibitions, workshops, performances a café and a theatre, it is the oldest regional arts centre in Ireland. For ICA members we offer a 15% discount forICA members to any event or workshop within Wexford Arts Centre. This offer is valid for workshops/events only within Wexford Arts Centre's control, is subject to availability and is offered on a first come first served basis.To avail of this offer please state that you are an ICA member when making a booking. Check out the upcoming performances/exhibitions/workshops on our website www.wexfordartscentre.ie and download the season brochure today! on all full price products in their Mullingar store . They will also offer free gift wrapping on all products purchased on-line from www.pewtergiftstore.com (All prices include postage and engraving on some items). with one of our Woman’s Health Physios. Women’s Health issues may include Urinary Incontinence, Incontinence During Pregnancy, Pain During Pregnancy or other issues. Service is not available in all of our clinic locations, please visit www.thephysiocompany.com for more information. Email appointments@thephysiocompany.com or lo-call 1890 749 746 to book an appointment. Please mention your ICA membership at the time of booking. Enjoy general admission to Limerick Racecourse for the discounted price of €10 per person for ICA members. Simply show your membership card at the Turnstile to avail of discounted admission on any of our race meetings. * Discount available to card holders only. A day at the races is the perfect outing for any ICA guild and a chance to show off that fascinator! I look forward to welcoming you to Limerick Racecourse in the future and please do not hesitate to contact me directly for a list of the 2013/2014 horse racing fixtures via phone 061-320000 or via email amy.oregan@limerickraces.ie All hospitality packages must be pre-booked. 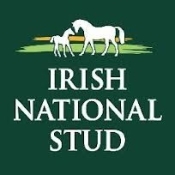 “The National Stud of Ireland and the Japanese Gardens, Horse Museum and St.
nationwide. e.g. Adults from €12.50 to €11.25 Seniors over 60 years from €9.50 to €8.55. ICA Groups can avail of even better rates of €8.00 per person. The above rates cover a guided tour of the Stud, a visit to the Japanese Gardens, the Horse Museum & St. Fiachra’s Garden. The Irish Examiner are offering ICA members as special deal on home delivery. a framed image of your choice from the archive worth €35. Source code ICA 01. Call 1800 697071 or email circulation@examiner.ie and log on to http://exa.mn/postalenquiry"
on DIY and Household products on presentation of an ICA membership card. Free Parking at our Portlaoise Store. Open 8.30am – 6pm, Monday – Saturday. Exclusions apply. A Sportsmans dream located on Kenyan Street in Nenagh Co. Tipperary has been offering exceptional service for more than 20 years to sport enthusiasts all over Tipperary and beyond and is now delighted to offer all ICA members and exclusive discount of 10% on all fully priced stock. Please contact Deirdre for more information on 067 32205 and visit the shop on Kenyan street for all the latest clothing and sportswear. City with a full mail order service. 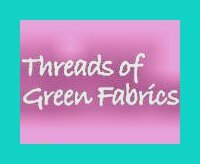 glitters, knits, laces, linens, linings, lames, satins, sheers, silks and wools. Email: info@threadsofgreen.ie We are delighted to offer 10% discount on all stock instore on presentation of the ICA Membership Card. We look forward to meeting you all and being of service. RMS Leinster Ireland’s biggest disaster at sea, sank by torpedo during WWI with over 500 fatalities. Weedkiller and fungicides, All decorative stone, and all Garden Care Products. Her shop is a hive of activity, not only selling supplies, but also providing classes. Tel 091 638246. Ger's Place, The Crane, Kinvara, Co Galway (in the market square). Entry to both museum’s & morning or afternoon tea. The Flying Boat Museum tells the story of the nostalgic era in the 30’s and 40’s when Foynes was the centre of the aviation world. Once you enter its walls you will step back in time. Its delights include an old-time movie recalling the flying boat era and stories about the patron Maureen O Hara and passengers and crew of the majestic flying machines. 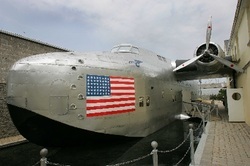 It boasts lots of exhibits and memorabilia .The tour culminates with visitors boarding a life size replica of the Boeing 314 flying boat. This package also includes a master class on the art of making the perfect Irish coffee. The first Irish coffee was made in Foynes by a chef named Joe Sheridan in 1943.A 3D hologram allows visitors to relive the experience. The tour lasts aprox an hour and a half and is guided. This package also includes our own freshly baked scones served with jam & cream and tea or coffee. The museum has recently been modernised and offers fantastic facilities for coach tours. There is also ample free car parking. The museum is host to O Regan’s Restaurant and a function hall. The restaurant offers a varied menu at reasonable prices. The home baking is mouth watering and always attracts comments from visitors. cross the Atlantic Ocean to land at Foynes, and the exhibits are beautifully displayed Finish off the visit with an Irish coffee at the Brendan O' Regan Restaurant. The Museum is on the N69 from Limerick City, or from the west viathe ferry from Killimer to Tarbert. McQuaids Opticians, Monaghan Town, Ballyconnell, Bellturbet and Clones. Connect Hearing Ltd is a company of Qualified Hearing Aid Audiologists, covering an area from Dublin to Donegal, we have various outlets throughout the country or we can carry out the hearing test Free of charge in the comfort of your own home . We offer Free hearing tests to the public, and service existing hearing aids. We also offer clinical ear car (wax removal) and advice on Tinnitus (ringing or buzzing in the ear). At Connect Hearing we carry out an otoscopic examination of the ears, checking for blockage of wax, or foreign bodies, and to check the general health and condition of the ear canal and the Tympanic Membrane (ear drum). If this is clear and healthy then we would proceed with an audiometric hearing test which measures the type and extent of any hearing loss. according to their hearing loss, their lifestyle, dexterity, cosmetically what they want to wear and their budget. We will give them advice on applying for grants from social welfare and tax relief. Once the patient is fitted with their hearing aids we will see them one week later, followed by a fortnightly appointment and then every six months. These follow up appointments allow the patient to gradually rehabilitate to hearing better. These are free ongoing appointments and the patient is also welcome to call anytime should they have any difficulty or require any adjustments to the hearing instruments. Kildare Village, Nurney Rd, Kildare Town. Ovenglow is a friendly professional oven cleaning service based in Co.Tipperary. We clean all types of cookers ,Extractors, Hobs, Agas, Ranges.Cleaning products used are non- toxic and odourless your oven is cleaned to a very high standard and ready for immediate use. Service area: Tipperary. Nth Cork. Waterford. Kilkenny. East Limerick. Ovenglow is delighted to offer ICA members a 5% discount on all single bookings for an ovenclean and 11% discount for 2 or more members booking an oven clean living within a 10km radius of each other on the same day. For a quote on the service you require go to our pricing area on our web siite www.ovenglow.com and enter your details and requirements, or phone Brian on 085 750 6979. Calor Gas is delighted to partner with the Irish Countrywomen's Association with a great offer for your home heating. If you were thinking about switching to gas, now is the time! Calor is offering a special bonus to ICA members who switch before 30th June. Not only will you get 6 months FREE gas and interest free options, as an ICA member, you'll also get a €250 bonus on your account! For more information, call today on 1850 812 450. The Path to Health Clinic is offering over 16% or €10 discount on all sessions to ICA members. check out the Clinic website on www.pathtohealth.ie for more details. 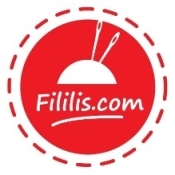 Fililis.com is an online fabric shop based in County Waterford. We are delighted to offer all ICA members an exclusive 12% discount on all fully priced stock of all fabrics and fabric packs. The discount is available by logging on to www.fililis.com and entering in the code ICA2013 when you reach the checkout. For more information please call Patricia on 085 2313625. Our mission is to serve as a platform for learning and inspiration in order to create beauty through sewing. We believe that sewing should be fun and stress free and we would like to share ideas with you! Bellissimo are delighted to offer ICA members a 10% discount on hair and beauty services in their Galway and Limerick Salons. All you have to do to avail of this discount is present your ICA membership card at reception. This discount is not valid with any other offer or promotion. This discount cannot be used to purchase gift vouchers or pamper packages. T&C’s Apply. Please make sure to mention you are a member of the ICA when booking. Valid Monday to Wednesday from 9am to 9pm.T&C’s Apply. It started over 20 years ago when two physicians, Bang and Dyerberg, visited Greenland to observe the Eskimos. They noticed that although Eskimos consume large amounts of fat, they avoid many of the conditions associated with a high fat diet. This was thought to be because they consumed large amounts of Omega-3 EPA and DHA fatty acids. The low death rate from heart disease among Eskimos, about 1/10 of that in many Western countries, has led to interest in the beneficial effects of fish fatty acids. These fatty acids are abundant in the Eskimo diet, where their content is 20 times higher than in the European and the American diet. Among the Eskimos not only heart disease but also joint and skin diseases are uncommon. These three groups of diseases are ten times more common among Scandinavians than among Eskimos. Having published over 400 papers, mainly in cardiovascular medicine, Professor Tom Saldeen decided to undertake further research into these revolutionary ideas. He concluded that these fatty acids are indeed highly beneficial to health but are often significantly lacking from the Western diet. Thus Eskimo Oil Omega 3 was borne! We've hand picked the best natural health products for you and they are all available online! Yourtonic.com is an Irish company based in Dublin specialising in complementary health products and information. What separates yourtonic.com from your conventional health store is they have chosen quality over quantity and after consulting with a number of nutritionists and industry experts; Yourtonic.com have selected the best of breed vitamins, supplements and herbal remedies, narrowing down a list of 1000’s to 100’s of products. ICA Members can enjoy a 15% Discount off the entire Eskimo 3 range until 31st December 2013. To receive your discount, enter ICA01 in the promo code box in the shopping cart. Brooks Jewellers & Gifts are delighted to offer ICA Members a 10% discount (terms and conditions apply). Brooks Jewellers & Gifts have enjoyed an enviable reputation for quality and service since the business established in the 1920's. Still located at its Charles Street location, the business has recently expanded into an adjoining premises allowing us to offer a greater choice of Jewellery, Watches and Giftware. Tempted, the specialists in sizes 16 to 28, with boutiques in Raheny, Wexford and Carlow are delighted to offer ICA members a 10% discount on all fully priced stock. Tempted offers a haven for curvy women, a place where they can shop and fall in love with clothes (sometimes we even find that our customers fall in love with themselves again because they feel so good when they know they look good). Everyone deserves to look and feel gorgeous regardless of whether you're a size 16 or a size 22 or a size 28. Contact Rosemary Kearns on 01 8314293 or by email info@tempted.ie and visit the website www.tempted.ie for more information. Our special offer to ICA members is 66% (€100) off the install fee. That is €49.95 instead of the usual €149.95. 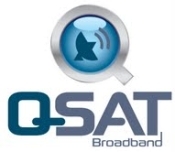 Q Sat is a new Irish company providing satellite based broadband and other services to consumers, particularly in rural and remote locations. Q Sat’s majority shareholder and Chairman is Niall Quinn. Rat’Rathwood Carlow are delighted to offer ICA members a 10% discount on all gift shop items excluding food items’’. T&C Apply There is so much you can do at Rathwood: shop for fashion and accessories, buy special gifts, enjoy wholesome food at the restaurant, explore the garden centre, visit the furniture, kitchen and stone showrooms or find gourmet products. Rathwood also offer activities for all the family, including the Express Train, cooking classes, forest walks, the falconry centre and more. We look forward to offering excellent customer service to all ICA members. Now Ballybrado offers a new service for our many members who are actively involved in home baking or even in baking for country markets and who are looking for larger than retail units. They now can buy 5kg or 16kg units supplied directly from the mill: wheat flours, rye flour, the ever more popular spelt flours and oat flakes – all certified organic, nothing added, nothing taken away. Follow us on face book: Ballybradoltd. This course is perfect for anyone looking to move on in their career or train in a new area and is the only course carrying the coveted Digital Marketing Institute accreditation and associated brand recognition. You can do this course in-class part time over 12 weeks or online in the comfort of your home. We can offer a 15% discount on our service to your members. Prevent a Puncture is a solution, that we insert into the tyres of a vehicle, we release the air from the tyre , insert the solution, reinflate to optimum pressure level, where it will remain. That then prevents or stops those tryes from getting a puncture, or suffering air loss. It is a tried an tested product, and was invested on in Dragon's Den by Bobby Kerr. We have a mobile unit, so we can travel or we have many drop in centres around the country, see our website for details. Larger cars Suv's etc price available on contact. HairWeavon specialises in natural hair wigs for women experiencing hair loss due to cancer chemotherapy treatment, Alopecia, thinning hair, Trichotillomania etc. To schedule a private consultation with our hair specialist , please call 014303978 or 0873566505. We at TOG Orthotics International would like to offer ICA members a 2 hour seminar on maintaining Healthy Legs & Feet. As up to 30% of adults suffer from varicose veins, and of those most are women, and 75% of adults experience an episode of Foot Pain, we feel that this seminar will be beneficial to the vast majority of your members. We will offer free foot scans and measuring services at the event, and we will have products available to purchase including our Therafirm range of compression hosiery, and our Orthotic Range. All attendees will receive the ICA member discounts from TOG. We hope that you will be interested in availing of this useful seminar and we will be happy to provide you and your members with any information regarding our practitioner network and our company should you require it. DocMorris Pharmacies are delighted to offer ICA members a 12.5% discount on all fully priced stock*. This offer will be available from Monday 12th November 2012. With over 70 pharmacies all over Ireland and a strong focus on keeping you healthy, we look forward to welcoming ICA members to any of our pharmacies where they will be assured of excellent customer service and great value for money. Remember to bring your membership card with you and you can put your name down to receive information about in-store promotional days as well as health screenings and talks taking place in the pharmacy. (*Excludes prescriptions and certain medicines. Cannot be used in conjunction with any other promotion. Minor terms and conditions apply.)" Margaret McDonnell has been producing organic chickens for the past 12 years at Ballysax Farm in Co.Kildare. 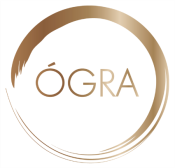 The farm is registered under IOFGA and it complies at all times with the very high standards set out by the association. All our poultry displays the organic symbol. Chickens are reared from day olds to approximately 12/14 weeks and then processed on the farm. The food premises is registered under Kildare County Council - official agency of the Food Safety Authority of Ireland and inspections/reports are carried out weekly. Chickens are available almost nationwide and a 12 ½ % discount (off full priced whole and portioned chickens) is exclusive to ICA members when purchased through the farm. Eat your Greens is a Nutritional Practice based in Leinster and is owned by Rina Whyte a qualified Nutritional therapist who is offering ICA members a 10% discount on Nutritional Consultations and Group Seminars in and around Leinster. Rina specialises in Optimal Nutrition, Osteporosis and Women's Health. For more information please contact Rina on rinawhyte@yahoo.com or by telephone on 087 238 9591. Rina is also available to attend Guild and Federation meetings and gives talks on nutrition." "Vibes and Scribes in Cork are delighted to offer an exclusive discount to all ICA members of 10% on all purchases of fabric/crafts/art supplies/craft books etc without a minumum spend.For Artts, Crafts and Fabric please contact our Bridge Street shop 021 450 5370, for new and used books contact our Lavitt's Quay shop 021 4279535 or log on to www.vibesandscribes.ie"
Cork Opera House is delighted to offer a 10% discount for ICA members on all in-house productions. Cork Opera House produces on average 50 in-house shows per annum. This translates to 4/5 shows (approx.) each month, depending on the month for which ICA members could avail of the discount. This is an exclusive offer and would be available to ICA members only. Further to this the ICA would be alerted to deals and special offer ticket prices which arise during the year. Members can avail of this offer by telephone booking and stating their ICA membership number and Guild. Also, Cork Opera House offers a general groups booking discount. For more information please call the booking line on 021 4270022 and see the website www.corkoperahouse.ie. 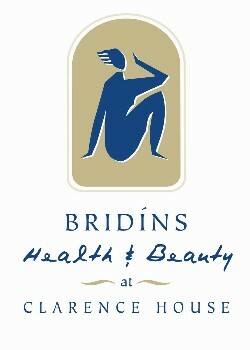 We would like to make available to all ICA members a discount of 10% off all full priced treatments on our menu here at Bridins Health & Beauty. Gardenia, Kilkenny are proud to be part of the ICA member’s benefits club. The busy garden centre located in the heart of Kilkenny City is offering a 15% discount to all ICA members. This is 15% off flowers, bedding, plants, shrubs, homewares, chemicals and feed and much more. This offer is not valid when in conjunction with any other offer and it excludes Petmania products which are also available in store. Fiona’s Therapies is an holistic centre based in the tranquil village of Rathnew in the lovely garden of Ireland Co. Wicklow. We are delighted to offer a 10% discount on our treatments and courses to all members of the ICA. Our speciality is in Deep Tissue Massage, Aromatherapy and Pregnancy Massage. 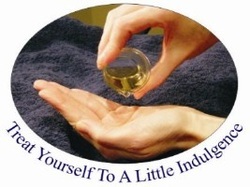 There are lots of lovely relaxing treatments available which you can check out on our website www.fionastherapies.net along with our workshops and courses, which include emergency First response courses, Beginners Massage and Aromatherapy for pleasure. Contact Fiona on 087 233 7272 and remember to quote your membership number and guild. Michael H is delighted to offer ICA members an exclusive discount of 15% on all full price items. Please present your ICA membership card at any of our following stores – Swords, Nutgrove, Dundalk, Naas, Sligo, Galway and Kilkenny, where you will be assured of great value and excellent customer service. If you supply your mobile number and e-mail address, we will keep you informed of sales and promotions that may interest you. PACKAGE 1 at Brú Ború Cultural Centre Our Summer Shows of Authentic Irish Traditional Entertainment commence on Tuesday 26th June and run until late August, 5 nights per week Tuesday to Saturday inclusive, starting at 9pm. We will give a discount of 10% to all ICA members on both the show price and the dinner and show price. Exclusively for ICA members we will also include a complimentary Tea & Scone following the show. All ICA members receive €30 off installations for New Sky orders. This discount is in addition to the current Sky Retailers offer. For example, the Sky Retailer offer might be 20% off any Sky Channel package for the year, with a free box and a €30 installation fee. The ICA member will have the installation fee waived. The Sky Retailer offer changes every 2 or 3 months but the €30 off on New installations would run throughout the year. These offers would be for residential customers. Members just have to call 1850 508 090 and when signing up quote their ICA membership number or the discount code DDICA2012. This discount is only available to ICA members by contacting the Digital Direct office on the 1850 508 090. 10% discount to every ICA member who has our product installed and for every unit purchased by members of a Guild, between 01/05/2012 and 30/09/2012, we will contribute EUR10 per unit purchased to their local Guild. 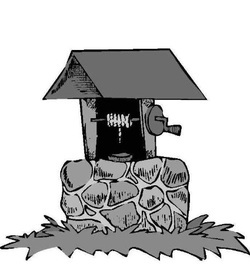 www.chimneydraughtstop.ie. Seasonal offers - e.g. on prescription sunglasses in summer. Phoenix Beauty.ie newly launched website is offering a discount of 23% for any item bought online, you will find jewellery, bags, scarves, eyelashes, watches and cufflinks. 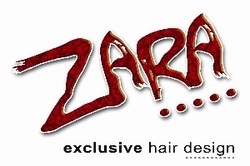 Two collections are launched ever year, Spring/Summer and Autumn/Winter. We run a gifting service on our website. The ethos of Phoenix Beauty is to give value, style and service. We like to reward our Facebook fans by having a free weekly draw. Then simply click on 'make payment to finish' and enter payment details. For every Wardrobe Purchased by an ICA member they will receive free accessories up to the value of €200, these accessories include drawers, chrome baskets, tie rails, pull down rails, trouser rails etc. The offer will not be available in conjunction with other offers. 10 % discount available on all full price stock delivered from Grange Foods all frozen meat, chicken, fish, potato products, cakes, ice-creams and party food. This combined with great value on monthly specials offers great value exclusive to ICA members ONLY. Please call Mia on 087 9799581 and have a look on line on www.grangefoods.ie for product details. The Autumn / Winter programme has not been scheduled yet, however discounts are also available to ICA members for all of that programme. Russborough House is offering a special discount exclusive to ICA members. A private guided tour of Russborough House, the 3D Exhibition and a visit to the Maze at exclusive group rates with a minimum of 20 people per group. For more information on how to book your visit please call 045 865239 for details. Kilkenny Shops are offering ICA members 15% off online and in stores! Simply present your membership card in one of their six shops around the country: Dublin, Cork, Galway, Killarney, Cashel and Shannagarry. GUI National Golf Academy has offered a €20 discount on their four-hour golf clinic as well as up to 33% off Lunch and Lesson with Friends! Ross Morgan Plus Size Boutique in Clane is offering 10% discount for all ICA members! Customers also enjoy a complimentary in-house personal styling service for help choosing the right look. FRS HomeCare is offering 10% off all of their services for the first month as well as the opportunity to be trained as a Home Care worker. More details to come! 10% discount on full priced stock at HICKEYS & HOME FOCUS (excluding gift cards and services). One Direct is delighted to re-launch its range of benefits for ICA members. Now with 27 branches nationwide, ICA members can now get great value Car and Home insurance as well as Over 50s Life Assurance in 23 Post Offices and 4 One Direct Branches. If your Home Insurance is due for renewal before 30th June, you’ll get 8 weeks free insurance, PLUS an additional €30 off. With One Direct’s Car Insurance, if you and any named drivers have no Penalty Points, you’ll get a 33% discount PLUS an additional €30 off because you’re an ICA member. With so many other financial institutions closing down branches, isn’t it reassuring to see an Irish company investing in local towns and communities all over Ireland? One Direct’s new Insurance Zones in 23 Post Offices around the country and 4 new One Direct branches is great news for existing and new insurance customers seeking value on their doorstep. This new insurance service provides ICA members with a face to face service when looking for a quote on their car or home insurance. Established in 1999, as a wholly owned subsidiary of An Post, One Direct has always provided great value insurance from their Head Office in Athlone to people up and down the country. Now, they’ve gone a step further by setting up a dedicated One Direct Insurance Zone in 27 locations nationwide. · 8 weeks free Home Insurance if you take out a policy before 30th June 2013. · Up to 40% discount if you’re claims-free for 5 years. · UP to 15% discount if you have an approved monitored alarm installed. · Up to €400 cover to replace your locks if your house keys are stolen with no excess applied. · If the food in your freezer becomes damaged, you’re covered to replace it for up to €650. · Automatic cover for fire brigade call-out charges up to €1500 if you have a house fire, with no excess applied. · Automatic cover for accidental breakage of sanitaryware, fixed glass in windows/doors AND ceramic hobs. · Cover for up to €400 for loss or damage to my visitors’ property while they are staying at my home with no excess applied. · If you lose your credit/debit card and are legally liable, you’re covered for up to €650 with no excess applied. · Cover for accidental damage to TV, video, stereo equipment AND home computer. · If your home becomes uninhabitable, cover for the cost of alternative accommodation up to 15% of the Buildings and Contents sums insured. · Automatic increase of 10% to contents cover at Christmas and for the wedding of an immediate family member. · €50 worth of Prize Bonds for the duration of your policy. · 24 hour Breakdown Rescue Cover in Ireland and the UK. · Cover for personal belongings lost or damaged from your car up to €150. · Cover for fire brigade call out charges if your car goes on fire for up to €1,000. · Lock replacement in the event of your keys being lost or stolen. · Cover if you bring your car on holiday for 31 days to any EU country. · Third party cover for towing trailers and caravans. · No loss of No Claims Discount for glass breakage, fire, theft or attempted theft claims. · Free €50 worth of Prize Bonds for the duration of your policy. · Choose from Annual multi trip, single trip or extended stay cover for individuals, couples or family packages. If you’re between 50 and 75 years of age and you want cash to provide financial support for your loved ones when you die then you might want to consider Life Assurance. · Guaranteed acceptance, for everyone aged between 50 and 75. · No medical questions, check-ups or reports needed. · Premiums cease at the age of 85, but life cover will continue until you die. · Complete life cover benefit payable after 2 years. · Consistent level of life cover and unchanging premiums. · Choice of flexible payment methods. · Peace of mind and security for your loved ones. One Direct (Ireland) Limited, trading as One Direct, is regulated by the Central Bank of Ireland. Car & Home Insurance are underwritten by Aviva Insurance Limited. Over 50s Life Assurance is underwritten by New Ireland Company plc. One Direct Travel Insurance is arranged, administered and underwritten by AIG Europe Limited. 20% off full priced stock at PACO shops. Just present your ICA membership card at the till to avail of the 20% discount at any of their 23 stores nationwide. 20% off the New Spring /Summer collection "The Colour of Life" at Paco! An Irish brand for the Irish Market"
10% off full priced stock. Just present your ICA membership card. Offering 10% discount on all products of lingerie at their store in Earlsfort Terrace on production of your Membership Card. In order for members to activate this discount, McElhinney's of Ballyboffey would kindly ask them to call to the main office on their next visit, where they will complete a form, have their picture taken and they will issue each ICA Member with their very own Mc Elhinneys ICA Partnership card. The benefit to becoming an Mc Elhinneys ICA Partnership card member is 10 % off instore, special invitations to promotions and extra discounts. 10% Discount off all stock to those who mention their membership with the ICA at the time of purchase. The Low Cost Health Cover for you and your family. Contact Roy Smith on 087-2610283 for a special ICA Discount. Offer 1 Minimum of 15 people. 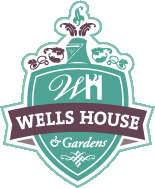 €20.00 per person includes discount of €5 per person Guided walk of Farm and gardens1hr. Tea, Coffee, Scones. Floral Art demonstration, 1.5 hrs. Floral Decoration will be raffled at the end of the demonstration. Minimum of 15 people. €35.00 per person includes discount of €6.50 per person, Tea, Coffee, Scones, Guided walk of Farm and gardens 1hr, Floral Art demonstration 1.5 hrs, Floral Decoration will be raffled at the end of the demonstration, Organic Lunch, Main Course, Dessert, tea & Coffee. Should the group prefer lunch first and the activities in the Afternoon this can be arranged. Addiebeads supplies a large selection and a wide variety of beautiful beads for pendants, bracelets, head pins, necklaces, bangles and earrings on-line. Addiebeads is delighted to offer all ICA members a 15% discount on all on-line purchases. Free delivery all over Ireland. All beads are competitively priced unusual and international beads are also stocked. When purchasing on-line ICA members must register on the Addiebeads website and enter the buyers code ICA2012. Please see www.addiebeads.com and email Mary on mary@addiebeads.com for more information. Call and text other ICA Members for free when you register with postfone. Simply call 1850 789 789. The Mellifont trading company is offering a 13.3 % discount to all ICA members on the cost of a Wireless Video Door Entry System. This system consists of an external unit, which is fitted at the front door area and contains a camera and door bell and an intercom. Inside is a wireless monitor with a 3.5 inch screen. With the monitor you can see, talk and take a photo of your caller, wirelessly from any room in your house. The recommended retail price is€299 and ICA members can purchase the system for €259. There is an additional charge for fitting between €50 and €100 euro. Please contact Stephen Englishby on 087 2956880 or by email on stephenenglishby@gmail.com. If you can’t make it to any of their Restaurants before the end of 2012. it’s a destination an experience that you will want to repeat. www.knittersdelights.ie, a young Irish company, is delighted to announce an exclusive offer of 10% on all wool, patterns and accessories for ICA members, simply enter ICA2012 into the promo code field to avail of this exclusive offer. 20% discount for groups of 10+ (off any ticket price) to any of our wonderful and mixed concerts at the National Concert Hall, Dublin – from classical to light entertainment with a wealth of top class talent from at home and abroad. An invitation to arrive at the National Concert Hall a little earlier in the evening and have a group photograph taken with the conductor and orchestra on stage before the concert. Longford Garden Centre, Clonbalt are offering 10% discount on everything throughout the year, I could also offer those members who are senior citizens 15% discount on Fridays. Renault Belgard is delighted to be able to offer great savings on their latest models of the Megane, Megane Hatch, Fluence and Laguna, and in addition to the discounted prices below, Renault Belgard is also offering an additional discount for ICA members of €500 on these models. Call Eoin Finn on 01-4041902 for more information. Number 1 Boutique Mountmellick Co Laois has a very large selection of beautiful Mother of Bride and Groom outfits. Selection of casual wear, Jeans, Knitwear etc. Brand names stocked Phiefer, Libra, Frank Usher and many more. Sizes 10 up to 24. Autumn / Winter stock will shortly be available. Out of hours appointments can be arranged to suit everyone. When passing through Mountmellick, call and have a browse and meet Margaret and her staff who will make you very welcome. DID are delighted to be able to offer all ICA Members 7.5% discount in any one of their 21 stores nationwide. Terms and conditions apply. Valid on Production of ICA Membership Card. Excludes Apple Goods and Miele Goods. Not valid online. Buy one Hearing Aid get the second Hearing Aid half price; a complete aftercare package which includes; all follow up appointments; a Four Year manufacturing warranty and a Four year supply of batteries, which will be issued at each annual check-up. Bonavox have regular clinics nationwide for futher information, to book an appointment or to find the Bonavox Hearing Clinic nearest to you call our free phone number 1800480480 or see our website www.Bonavox.ie. 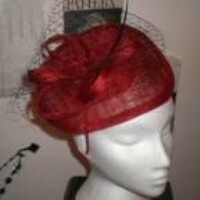 Pamela Curtin Milliner, the award winning owner of "Hat Hire Portaoise" is delighted to offer ICA members an exclusive discount on all Hat Hire. Our headpieces, fascinators and hats are all designed with top quality materials and fabulous bespoke headpieces are made to order. Ready made pieces also available.